Iiodine has considered as a trace beneficial element for higher plants and it has long been recognized as an important element environmentally. In order to study the effects of different application methods (foliar spray, soil application or foliar combined with soil application) of Potassium Iodide (KI) at 2, 4, 6 and 8 mg L-1 on vegetative growth and some physiological characteristics of Zonal pelargonium (Pelargonium × hortorum L.) plants, a pot experiment was carried out during 2017 and 2018 at AL Mansoura Horticulture Research Station, Horticulture Research Institute, Agriculture Research Center, Egypt. 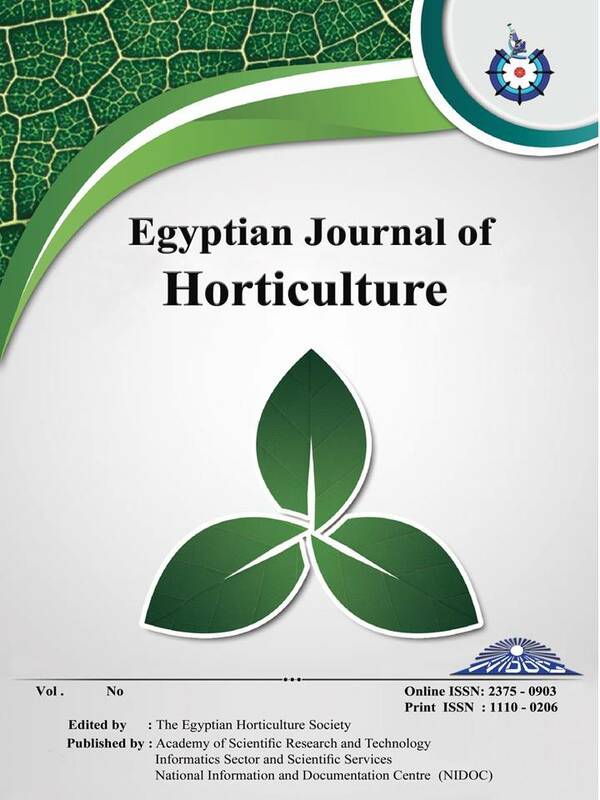 The study showed that, generally all different applications had positive effects on the vegetative growth and inflorescences parameters except foliar application at 2 mg L-1 concentration. Soil application at 2, 4 and 6 mg L-1 showed the highest values of shoot length, number of branches and fresh and dry weight. Soil combined with foliar applications at 6mg L-1 gave the highest number and neck length of inflorescences plant-1 . Additionally, the same application method at 4mg L-1 resulted in the highest diameter of inflorescences. All used iodine treatments increased significantly nitrogen, phosphorus and total sugars in pelargonium plants over control while, decreased the total polyphenols content of pelargonium plants in comparison to control plants. The results refer to the possibility of using KI as soil application for improved the productivity and quality of pelargonium plants.